Graphics design is a presentation of ideas with the help of visual and textual content. And the people who design them are called as Graphics Designers. Whether it is print design like the image on poster or brochure, advertisement banner, cover page for newspaper or magazines and even website design or mobile application design, a graphics design consists of many unique elements. Especially in website graphics, the design consists of color theory, typography and how it is aligned with a grid of the website. Talking about graphics in digital design, it is not just about creating logos, working on PSD and making amazing ads. It is the blend of art with technology. You get to convey your ideas through images. This is about telling a story visually. Using text, illustration, symbols, photography, textures, and colors, graphic designers use a variety of design elements to achieve artistic and decorative effects. Every basic element like a line, shape, color, the texture, the value, and space are blended with the proper balance to make a graphics design. Hence a balance in all these elements makes the website design user focused. Here are some basic tips for making a better graphics design. Fonts are the strength of your website. You can use the combination of maximum two fonts throughout your website. To know what works best? Play with fonts. Try them out on your website and if not satisfied change them. Only in few trials you will get the suitable font palette. You can always find the best font available from the font gallery in Google. Images when used for graphics design must be of high quality. Images help your website visitor feel connected to your brand. High quality images on landing page are crucial because there is where most of your website traffic is going to divert. Also you must keep in mind that the size of the images should be compressed so that it won’t affect the loading speed of the website. Alignment can make or break your website design. An organized design gives a classy look to the website. Make sure that all your headers, sub-headers, paragraphs along with images are aligned in similar way throughout the website. 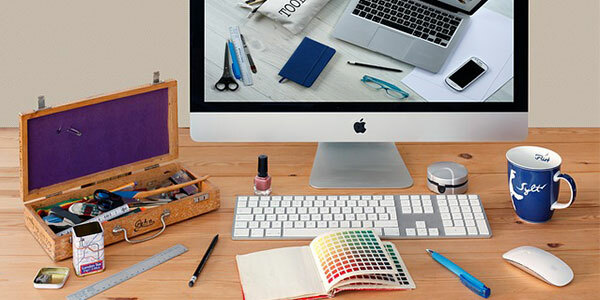 These are just the basic tips you need to follow at the beginner level of graphic design. Practice more; build your own graphics design mockups, and in time you will feel the difference within yourself. After all, practice makes us perfect!